Peachy Waffle Sauce | Naturally. During fall, I usually only get one day off because of marching band, concerts, and everything else that goes on for school. You can bet that I try and get the most out of those days. Need a waffle recipe to go with this sauce? 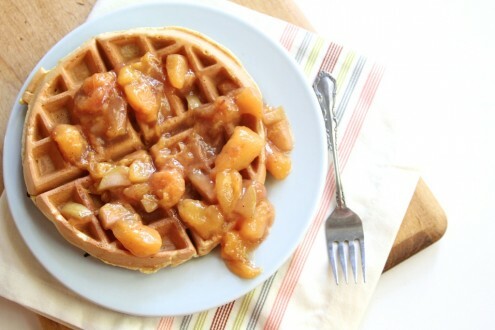 Check out my whole wheat waffle! 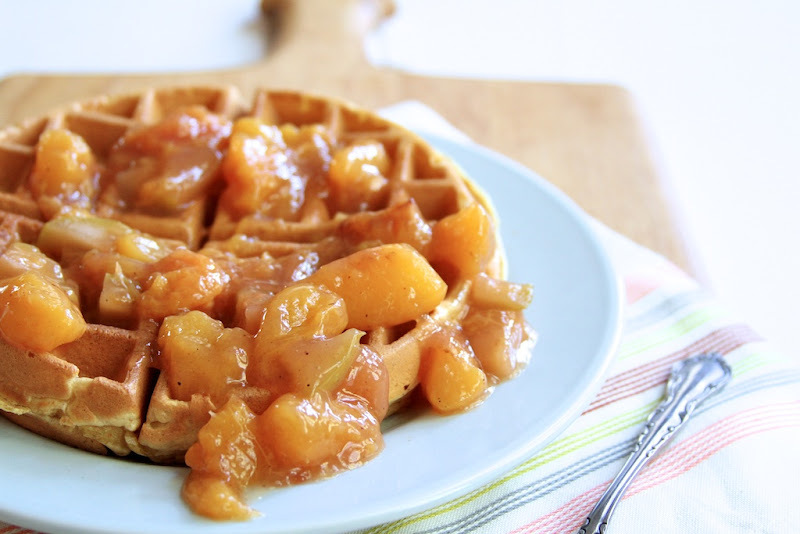 In a sauce pan combine peaches, apple, 1/2 cup of water, cinnamon, nutmeg, and bring to a boil. Reduce to a simmer and continue to cook for 5-6 minutes until apple has softened. In a separate bowl combine 2 tablespoons of water and tablespoon of cornstarch to dissolve cornstarch. Add mixture and sugar to peaches and continue to heat until sauce has thickened. these look amazing! i was looking for something to do with some peaches I had- I went with cupcakes and cobbler! yum! Can you can this after it has been made? I’m really not sure- I don’t can much. I bet you could but I would google some other recipes without preservatives to find out.